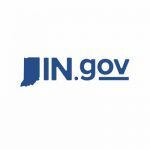 A Northwest Indiana attorney is among the several state board appoints and reappointments recently announced by the office of Gov. Eric Holcomb. Sandra O’Brien, Valparaiso, attorney with Mindel & Associates, will join the Indiana Worker’s Compensation Board. Her term expires Jan. 1, 2023. Beth DeHoff, Plainfield, family support coordinator with IU Health Physicians. Jennifer Noffsinger, Goshen, staff with the Elkhart County 4-H Fairgrounds. Jim Aegerter, Greenwood, representing individuals with disabilities. Brandy Dickerson, Indianapolis, retention specialist with Easterseals Crossroads. Drew Dietrick, Indianapolis, production control analyst with the Marion County Board of Voter Registration. Ledrena Girton, Indianapolis, personal care attendant with QRL. Ayden Jent, Indianapolis, public information officer with the City of Indianapolis, will join the council. Amanda Moore, Fishers, director of leadership development with YMCA of Greater Indianapolis. Angela Vandersteen, Greenwood, business development manager for Tangram Inc.
Starke County Sheriff Bill Dulin, Ora. His term expires Dec. 31, 2022. Chief Patrick Flannelly,Lafayette. His term expires June 30, 2022. Morgan County Sheriff Rich Myers, Martinsville. Herm expires Dec. 31, 2022. Vanderburgh County Sheriff Dave, Wedding, Evansville, His term expires Dec. 31, 2022. Scott Brewer, Granger, senior vice president of government affairs, community relations, and security with the Four Winds Casino Resort, will join the commission and serve as chair. Felica Ahasteen-Bryant, Westfield, director of the Native American Educational & Cultural Center at Purdue University. Dorene Red Cloud, Indianapolis, assistant curator of Native American Art at the Eiteljorg Museum of American Indians and Western Art. Amy Burris, Loogootee, farmer at Burris Family Farms. Martin Chattin, Decker, president of Chattin Brothers Inc.
Robert Eddleman, Indianapolis, associate supervisor for the Marion County Soil & Water Conservation District. Annette Seabrook, Indianapolis, CEO at Community Rehabilitation Hospital North. Term expiring Nov. 30, 2022. Abagail Fleenor, Greensburg, volunteer with Life Church. Joseph Gunn, Indianapolis, graduate student at Indiana University SPEA. Erin Hall, Indianapolis, executive director of interagency relations and compliance with INDOT. Theresa Koleszar, Indianapolis, director of FSSA’s Bureau of Rehabilitation Services. Cynthia Rockwell, Wolcottville, retired attorney with Rockwell & Jansen LLC. Tammy Themel, Greenwood, CEO of accessABILITY Center for Independent Living Inc.
Frederick Vaiana, Westfield, attorney with Voyles Vaiana Lukemeyer Baldwin & Webb.